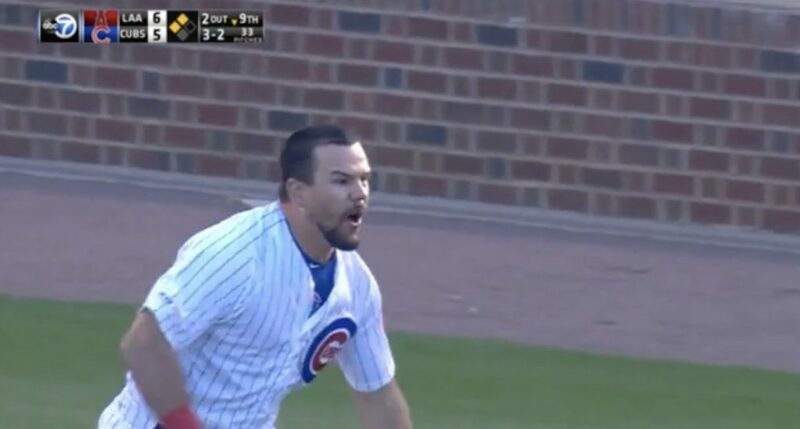 Things almost turned ugly in Chicago earlier today as Kyle Schwarber had to be held back from getting at third base umpire Gabe Morales following a called strike on a check swing to end the Cubs’ game against the Los Angeles Angels. With a full count, two outs, runners on second and third, and the Cubs trailing by one in the bottom of the ninth, Schwarber appeared to check his swing on the pitch, but Morales thought otherwise. Upon seeing the call, which ended the game in a 6-5 Angels victory, Schwarber was incensed. He appeared to be trying to get at Morales, but was stopped before he could get there. Here’s a look at the wild scene that ended today’s game at Wrigley.